During the course of the Syrian Civil War as well as the Iraqi Civil War (2014–present), many foreign nationals have been documented to have fought for Syria's rebel forces, either for the Islamic State of Iraq and the Levant (which has elicited the biggest international response), al-Nusra Front, the Free Syrian Army or other factions. Many foreign fighters have also died in the conflict. Fighters include those from the Gulf Arab states, Tunisia (following its own Tunisian revolution), Libya (following the similar Libyan Civil War), Bosnia, China, other Arab states, Russia's Chechnya and North Caucasus region and Western countries (despite warnings of radicalism from those governments). The conflict has taken on a largely sectarian bent with foreign Sunnis fighting for the opposition, while foreign Shias fight for the government. Estimates of the total number of foreign Sunnis who have fought for the rebels over the course of the conflict range from 5,000 to over 10,000, while foreign Shia fighters are thought to number around 10,000 at the most. Over 600 foreign fighters were killed in the first half of 2013 alone. The Soufan Group reported on 15 October 2016 that there has been "a significant increase in the number of foreign fighters travelling to Syria" since 2014. The U.S. State Department reported on 2 June 2016 that their "intelligence community" estimates that possibly "in excess of 40,000 total foreign fighters have gone to the conflict [in Syria] and from over 100 countries" while six months prior, the Russian Defense Ministry estimated that there were about "25-30,000 foreign terrorist mercenaries are fighting for ISIL" alone. The phenomenon causes concerns in the home countries of the foreign fighters, for example because of foiled or successful attacks, but also because of countries being used as transit countries or departing bases. The phenomenon is not new, but the size and widespread origins in this case are. According to figures collected by the Soufan Group, between 27 000 to 31 000 people including women and children who would not normally engage in conflict have traveled to Syria and Iraq to join the Islamic state and other extremist groups fighting in the region. Reasons that these people join Islamic state or any other extremist group seem to depend on where they come from. Those fighters that come from places like United States or European Union seem to join because they are experiencing some type of identity crisis.This is especially true in regards to first generation and second generation immigrants who join because of the continued marginalization and alienation that they experience from their native peers. Their hope is that joining the Islamic state will give them a sense of purpose and belonging. People who join that are from Islamic countries are likely to join because they want to assist their Muslim brothers that are fighting the Assad regime. One reason suggested for the influx of foreigners in the fight is that the Syrian government took no steps to curtail the inflow of foreigners who then moved to Iraq during the Iraqi insurgency. In the first half of 2012, 700-1,400 fighters were said to have entered Syria. In 2011 total foreign fighters were roughly in line with foreign fighters in other Muslim jihads such as Bosnia, Chechnya, Afghanistan (In the 1980s and 2000s) and Iraq at up to 10% of the fighters. Their numbers continue to increase, however, and may now number more than 11,000. Syria's easy accessibility through Turkey is probably an important factor in making it the current number one destination for jihad. Places such as Tunisia had a high number of fighters abroad due to the accessible mobility and expatriates and larger middle class than most other countries. Syria was said to be a breeding ground for fighters as most foreign recruits had little or no combat experience. An analysis of martyrdom videos indicated that of the 600 reported dead in the first half of 2013, less than 20 of the dead fighters were experienced fighters from Afghanistan, Libya, or elsewhere. On 31 May 2013, Yusuf al-Qaradawi called for a jihad against Syria. It was speculated in the Western media that this could lead to an influx of foreign fighters to the country. A 7 December 2015 report by the Soufan Group gave estimates for the number of foreign fighters in Syria and Iraq by their country and region of origin based on information dated between 2014 and 2015. The study listed the countries with the largest number of foreign fighters were Tunisia (6000), Saudi Arabia (2500), Russia (2400), Turkey (2100), Jordan (2000+) while the number of fighters by region was reported to be: the Middle East (8240), the Maghreb (8000), Western Europe (5000), former Soviet Republics (4700), Southeast Asia (900), the Balkans (875), and North America (289). Of Western Europe's estimated 5000 total fighters, almost 3700 fighters were produced by just four Western European counties: France (1700), Germany (760), the United Kingdom (760), and Belgium (470). Between 2014 and 2015, the report estimated a nearly 300% increase in the number of fighters originating from Russia and Central Asia whereas the total number of fighters traveling to Syria and Iraq had become "relatively flat." The report mentioned that the flow of foreign fighters "is neither uniform by region nor by country," with some countries having distinguishable "Hotbeds of recruitment" with some hotbeds, such as the Lisleby district of Norway's Fredrikstad which is populated by only 6000 people, being small and relatively new while other cities and regions, such as Tunisia's Bizerte and Ben Gardane, Libya's Derna, Georgia's Pankisi Gorge, and Brussel's Molenbeek, "are well-established incubators and radiators of extremist behavior." The total number of foreign fighters was estimated to be the largest for Libyans with several hundred fighters; Saudis numbered at least 330; several hundred Egyptian Islamists; about 300 Iraqis and over 500 Jordanians. Bahraini Sunni sheikh Adel al-Hamad said that his son, Abdulrahman, was killed while fighting in Syria and that he had "hoped to fall as a martyr." He added: "He visited Syria once, then he returned to Bahrain where he prepared his fighting gear and returned to Syria." In response, Interior Minister Rashid bin Abdullah al-Khalifa said that support should be given from the international community and that individuals should not be indoctrinated and radicalised. It follows calls from mosques to join the "jihad" in Syria. There are also Saudi fighters. USA Today reported that over 1,200 death row inmates were sent from Saudi Arabia to fight against the Syrian government. Mostly Lebanese fighters tend to have their own groups and militias. Members of Fatah al-Islam and the Abdullah Azzam Brigades were also present though they were fighting under independent banners. Many Lebanese fighters for the opposition come from the Sunni stronghold of Tripoli. The city's Sunni cleric Sheik Masen al-Mohammed said: "The struggle for freedom in Syria is our own struggle for freedom. We Lebanese are part of the Syrian revolution, part of the rebellion. If Syria gains its freedom, then we will also win in Lebanon." He also said of Syrian President Bashar al-Assad that he was an "infidel...It is the duty of every Muslim, every Arab to fight the infidels. There is a holy war in Syria and the young men there are conducting jihad. For blood, for honor, for freedom, for dignity. We know of Palestinian, Libyan and Yemen fighters who are active there." Libya's Transitional National Government was the first and only UN recognised entity to see the Syrian National Council as the sole legitimate representative of the Syrian people. In December 2011, it was reported in the French media that the former Libyan Islamic Fighting Group's Abdulhakim Belhadj's associate Abd al-Mehdi al-Harati was leading a Libyan group of fighters with rumours suggesting some of the Nusra Front's fighters came from this group. Arms from the recently concluded Libyan Civil War were also present in Syria. While many fighters from the civil war were reported to have gone to fight in Syria, several were said to have returned home amidst escalating violence and threats of a new civil war. Towards the end of 2014, the city of Derna reportedly swore allegiance to ISIS, the first outside Syria or Iraq. Following the first Arab Spring uprising that led to the Tunisian revolution, when the Islamist Ennahda party came to power, many Tunisian fighters fought alongside the Syrian opposition fighters. 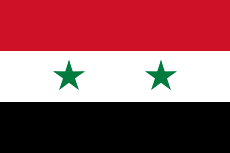 In early 2012, Tunisia also withdrew recognition of Syria. Tunisians have been killed or captured in Syria, with at least five deaths from the town of Ben Guerdane, from where many fighters departed Tunisia for Syria. The Syrian government informed the United Nations of the arrest of 26 alleged al-Qaeda militants, 19 of whom were Tunisian. Tunisians are reportedly a large percentage of the foreign Arab fighters in the country. President Moncef Marzouki's spokesman Adnan Mancer said that the government was trying to follow up on the fate of Tunisians in Syria with the help of international organisations like the Red Cross as official ties between governments had been cut. He said: "Our youth have good intentions, but it is possible they fell into the hands of manipulators." In March 2013, an inquiry was initiated into recruitment of Tunisian Islamists. In May, Foreign Minister Othmane Jarandi said that there were about 800 Tunisians fighting for the opposition in Syria. He added that "the repatriation of Tunisians can be facilitated by the embassy in Lebanon after the government makes contact with the Syrian authorities about imprisoned Tunisian citizens." Rifts within the al-Qaeda subgroups were also exposed by the war. Amongst the various Iraqis fighting in Syria's opposition are Al-Qaeda in Iraq. Its leader Abu Bakr al-Baghdadi also issued a video tape that said his group had merged with the Nusra Front in order to form the Islamic State of Iraq and the Levant. However, Nusra Front disavowed the claim, while al-Qaeda leader Ayman al-Zawahiri ordered them to be separate groups. al-Baghdadi then issued another video tape in which he rejected al-Zawahiri's ruling. Israeli-Arabs were also found to have traveled to Syria and fought for the rebels. At least one returnee, who was reportedly asked to carry out a suicide bombing in Israel, was convicted of "endangering national security." Judge Avraham Yaakov said at a session of the trial at Lod district court that "there's no legal guidance regarding the rebel groups fighting in Syria." In June 2013, a recently promoted Jordanian Air Force captain was reported to have taken leave from his job and traveled to Turkey in order to fight for the Nusra Front. Yemenis have also fought for both sides in the Syrian battle; Palestinians have also fought for both sides of the conflict with Hamas being more supportive of the opposition and the PFLP-GC supporting the government. A leading Mauritanian jihadist ideologue, Sheikh Abu al-Mundhir al-Shinqiti, has called for support for the Nusra Front. Most recruits are Arabs (Lebanese, Iraqis, Jordanians, Palestinians, Kuwaitis, Tunisians, Libyans, Algerians, Egyptians, Saudis, Sudanese and Yemenis). The largest contingents of about 500-900 fighters come from Syria's neighbors: Lebanese, Iraqis, Palestinians and Jordanians, many of whom fought U.S. forces in Iraq. The second-largest contingent is from other Arab countries in North Africa: around 75-300 fighters from Libya, Tunisia, and Algeria. Al Qaeda leader Ayman al-Zawahiri also called for a jihad in Syria with the main target of message said to be Lebanon, Jordan, Turkey and Iraq. In November 2014, five people were jailed in Jordan for three to five years for "promoting... terrorist organisations" in reference to ISIS. Two others were also on trial as part of a crackdown on militants. Azerbaijan is a largely unobservant Shia majority country with a Sunni minority. Many Sunni citizens of Azerbaijan have joined terrorist organizations in Syria. It's estimated that the number of Azerbaijanis in Syria ranges from 200 to 300. A veteran of the 2008 Russo-Georgian War and a former sergeant in the Georgian Army, the Georgian Abu Omar al-Shishani, currently serves as a commander for the Islamic State in Syria. Another one is Muslim Shishani. Uzbek foreign fighters in Syria include Imam Bukhari Jamaat (كتيبة الامام البخاري) (Uzbek: Imom al buxoriy katibasi) (Turkish: İmam Buhari Cemaati), Katibat al Tawhid wal Jihad (كتيبة التوحيد والجهاد) (Uzbek: Tavhid va Jihod katibasi) (Turkish: Tevhid ve Cihad Cemaati), and Katibat Sayfulla (كتيبة سيف الله), which is part of Jabhat al-Nusra. Katibat Tawhid wal Jihad (Тавҳид ва Жиҳод) (also called Jannat Oshiklari) participated in the 2015 Northwestern Syria offensive. the Al-Ghab offensive (July–August 2015), Battle of Aleppo (2012–present) the Siege of Al-Fu'ah-Kafarya (2015), and the seizure of the Qarmid military camp. It was a former part of Jabhat al-Nusra, and is still an ally of the group. The leader of Katibat al Tawhid wal Jihad is Abu Saloh. Katibat al Imam al Bukhari is also called Imam Bukhari Jamaat. The Uzbek group Imam Bukhari Jamaat pledged allegiance to the Taliban and is an Al-Qaeda ally. Uzbek foreign fighters have flocked to Katibat Imam al-Bukhari. Salahuddin al-Uzbeki is the leader of Imam Bukhari Jamaat and his son Umar, a 16 year old teenager, died while fighting in Aleppo against the Syrian military. A member of Imam Bukhari Jamaat defended the utilization of child soldiers. Allegiance was pledged to the Taliban and their leader Mullah Omar by Imam Bukhari Jamaat. On the VK social networking website, an illustration of a militant aiming an RPG at Santa Claus' flying sleigh was posted by Imam Bukhari Jamaat. The leader of Imam Bukhari Jamaat is Salohiddin. Child soldiers are being drilled by Imam Bukhari Jamaat. They battled in Aleppo and Latakia's Jabal al Akrad region. Katibat Sayfulla is part of Jabhat al-Nusra. It participated in the Siege of Abu al-Duhur Airbase. Uzbek fighters in ISIL have participated in suicide bombings. Muslims from the Balkans have joined the opposition in fighting against the Syrian government, and some have been killed. Many recruits came from Serbia's Muslim-inhabited Sandžak region, particularly the city of Novi Pazar. Several hundred come from Albania, Bosnia and Herzegovina, Kosovo, Montenegro and Macedonia. Many of the recruits were Salafists and, though denied by some Salafist leaders, Rešad Plojović, the deputy leader of the Sandžak muftiate, said that "some organisations and individuals [are recruiting Balkan Muslims]. There are centers or individuals who probably have connections with certain organisations, and they are motivating people. They also may know ways to transport them to the war zone. Let's be frank. Many here do not even know where Syria is. They cannot know how to go there and get involved in all that is happening there." Anel Grbović, a journalist from Novi Pazar, writes that most fighters from the Sandžak had been removed from the country's two official Islamic communities before traveling to Syria. "The fact is, there are illegal organisations recruiting people here. The fact is, there are houses where they come together. The fact is, there are facilities where they conduct their religious rituals – which means they exclude themselves from the mosque. That means they exclude themselves from the system of the Islamic community and are more easily influenced by some individuals or organisations." As for Albanian Muslims in Kosovo and Macedonia, they fought for the rebels in order to help "Sunni brothers" in their fight. At least one Macedonian fighter said he was recruited via an intermediary in Vienna. From Bosnia and Herzegovina, many Bosniaks joined the Nusra Front as Salafists (Salafism came to Bosnia during the Bosnian War with Saudi financing, though foreign fighters in that war stayed on in the country despite controversy). Some of relatives of the fighters have said that the leader of the predominantly Salafist Bosnian village of Gornja Maoča, Nusret Imamović, recruited the fighters; however he refused to be interviewed about the allegations. The director of the Bosnian State Investigation and Protection Agency, Goran Zubac, said that his office had questioned at least eight men linked to recruiting and sending the fighters to Syria, while he said his office was monitoring the Salafists. "If our priority is to fight against terrorism and these activities are a part of this sector, then you can rest assured that nobody in the State Investigation and Protection Agency is sleeping." FTV reported that a group of 52 Bosniak fighters went to Syria since the fighting commenced, though 32 fighters returned, while two were killed. An additional nine Bosniaks released a video tape saying they were going to fight in Homs, though they also mentioned the jihads in Iraq and Afghanistan. Macedonian citizens of Albanian descent are also fighting in Syria, and a number are reported to have been kiled. The Russian security agency Federal Security Service in July 2013 estimated that about 200 Russian citizens were fighting for the Syrian opposition, while it expressed fears the fighters could carry out militant attacks upon returning. In December 2013, the Russian media estimate for Russian citizens fighting for the rebels was increased to 400. The Chechen-led Jaish al-Muhajireen wal-Ansar (JMA), which was said to be cooperating with the al-Nusra Front, was mid 2013, according to The Washington Free Beacon, one of the leading recruiters of foreign fighters into the jihad in Syria to fight Assad. Its online forum was said to show an easy access route, via Turkey, to the battlefield, which brought in more fighters. The Free Beacon also reported that Chechen fighters were bringing with them Russian-made SA-7 anti-aircraft missiles which are shoulder-fired and could be used to target civilian commercial airliners. In December 2013, Jaish al-Muhajireen wal-Ansar (JMA) split away from the Islamic State of Iraq and the Levant (ISIL), and continued respecting the Oath of Allegiance they had made to the Caucasus Emirate's Dokka Umarov. In September 2015, JMA pledged allegiance to the al-Qaeda affiliated al-Nusra Front. As of September 2015, according to Russian Civic Chamber's commission on public diplomacy and compatriots abroad, approximately 2,500 Russian nationals and 7,000 citizens of other post-Soviet republics were fighting alongside ISIL. Khamza Shishani is a leader in Ajnad al-Kavkaz. Ajnad al-Kavkaz is Chechen. Chechens lead Junud al-Sham. Indonesia and Malaysia are the main source of foreign fighters from Southeast Asia with an estimated of 500 Indonesians and 200 Malaysians have travelling to Syria to fight for the Islamic State. It is also suspected that more than 200 Filipinos, mostly the members of Abu Sayyaf (ASG) and Bangsamoro Islamic Freedom Fighters (BIFF) are training and fighting in Iraq and Syria under Islamic State. Southeast Asian countries are the origin of approximately 500 child fighters in ISIL. Both European converts and immigrant or immigrant's children have gone to fight for the Syrian opposition. This includes citizens from France (with the leading number of fighters), followed by the United Kingdom, Germany, Belgium, the Netherlands  and Italy. A report by the International Centre for Counter-Terrorism - The Hague (ICCT) from April 2016 shows that there is a total of 3,922-4,294 foreign fighters from EU Member States of whom 30 percent have returned to their home countries. EU anti-terrorism coordinator Gilles de Kerchove said that this was a worrying trend as those who return could be more radicalized. EUROPOL Director Rob Wainright issued his 2013 report and said that the returning fighters "could incite other volunteers to join the armed struggle," as well as use their training, combat experience, knowledge and contacts to conduct such activities within the EU. There were also Australians and citizens of the United States fighting for the Syrian opposition camp, despite possible prosecution by their government for terrorism amid fears they could return home and carry out attacks. Australian security agencies estimated about 200 Australians to be fighting in the country with dozens said to be part of the Nusra Front. The first European to fight for the Syrian opposition was reported by Der Spiegel to be a fighter for the Free Syrian Army who was "a Frenchman who had just turned 24 and comes from a wealthy family. He just turned up here with his credit card in hand." A Michigan-born U.S.-convert to Islam was also the first U.S. citizen to be killed in Syria, reportedly by the government, as she was taking part in a reconnaissance mission with two Britons near Aleppo. In July 2013, a U.S.-Egyptian man named Amiir Farouk Ibrahim (from Pennsylvania) went missing in Syria, presumed by the media to be fighting with rebel forces. His passport was discovered, amongst others, in an Islamic State of Iraq and the Levant base which had been captured by Kurdish rebels. His family was aware he was in Syria, but his father did not believe that his son had gone there for humanitarian purposes. On 3 August, two Lebanese-Swedish brothers, Hassan and Moatasem Deeb, were killed in a rebel assault on the Abu Zeid army checkpoint near Qalaat al-Hosn, according to their cousin and a Tripoli cleric. Moatasem died as he exploded his suicide vest in a car at the checkpoint and his brother died in the ensuing fighting. This followed their other brother, Rabih's, death in Tripoli the previous year. The cleric claimed that the deaths were not in vain as that the checkpoint had been taken by rebels. A suicide attack on a school where Syrian troops were stationed in Deir al-Zor was said to have been perpetrated by an Australian named Abu Asma al-Australi for the al-Nusra Front. Reports indicated he was from Queensland and travelled to Syria with his wife before sending her back to Australia. A spokesman for the Department of Foreign Affairs and Trade said that the Australian government was aware of the reports that an Australian had killed himself, but could not confirm any of the speculation. He added that the government had concern about its citizens fighting in the country, including with the al-Nusra Front. The Syrian-born head of a Stockholm mosque, Haytham Rahmeh, reportedly smuggled weapons to the rebels for 18 months. Rahmeh, a member of the Syrian National Council and a former member of the Muslim Brotherhood, was said to have bought the weapons mainly in Libya and with support from the Commission for Civilian Protection and then transported them through Turkey to Syria. In June 2013, the chief analyst at the Swedish intelligence agency expressed concern about the dangers of those returning from the fighting and noted that at least 30 Swedes were known to have fought in Syria and "many" had returned. On 27 May 2014, a Somali and two Kosovars, all Norwegian citizens from Oslo, were arrested after being suspected of supporting the ISIS. The death of Kosovar, Egzon Avdyli, who grew up in Norway was highlighted in the media as he fought for ISIS. He was also a spokesman for the Norway-based Prophet's Ummah and was said to have left for Syria earlier in the year. He "supported the establishment of an Islamic state in Norway or other Western countries." At least 50 Norwegians were thought to have traveled to Syria to fight for the Islamists, with Norwegian intelligence groups said to be concerned of the danger of them returning. In a joint operation in mid-March, Spanish and Moroccan security services targeted an al Qaeda recruiting network and arrested four suspected members in Spain and three others in Morocco. The network, whose activities extend to Morocco, Belgium, France, Tunisia, Turkey, Libya, Mali, Indonesia, and Syria, is headed by Melilla resident Mustafa Maya Amaya, who funneled recruits to the ISIS, the Al Nusrah Front and AQIM. Some of those arrested had returned home from conflict zones such as Syria; and in January, a suspected jihadist returning from Syria was arrested in Malaga as a potential "threat to national security." On 30 April, Spanish security forces, working with French police, arrested Abdelmalek Tanem, a dual Algerian-French citizen, in Almeria, who had recently returned from Syria where he worked towards facilitating integration of Europeans into the Al Nusrah Front and ISIS. On 30 May 2014, Spanish security forces arrested six people in Melilla who were involved in a network that sends fighters to al Qaeda camps in Syria, Mali, and Libya. The cell leader, Benaissa Laghmouchi Baghdadi, had spent eight months in Syria and also had ties to al Qaeda in the Islamic Maghreb (AQIM) and the Movement for Oneness and Jihad in West Africa (MUJAO) in Mali. Some of those arrested also had linked to Sharia4Spain. Western countries, including the U.K., have provided aid to the rebels. As of November 2013, there are believed to be approximately 600 fighters from Western countries in Syria. Norway's Thomas Hegghammer issued a report that suggested one in nine Westerners who fight in foreign jihadist insurgencies end up becoming involved in attack plots back home. The Associate Director of the Melbourne School of Government David Malet, however, suggested that while research on foreign fighters was a new field, different studies showed another view to the likelihood of blowback from returning fighters. "Other studies show that most foreign fighters simply resume their previous lives so long as they are provided amnesty." The U.K. arrested former Guantanamo Bay detention camp detainee Moazzam Begg for "attending [a] terrorist training camp" in Syria and "facilitating terrorism overseas." Meanwhile, France was estimated to have up to 700 of its citizens fighting in Syria. At least one pregnant Austrian indicated she wanted to return home. "The new coalition government has been critical of both sides and sympathetic to the Christian minorities who have been targeted by the anti-Assad [sic] forces. With Australia's suite of anti-terror laws, and concerted efforts by our intelligence agencies to share resources and establish strategic community contacts, Australia's buffer against terrorist acts has been bolstered. Local community elders and clerics have also been more vigilant and public in encouraging good citizenship and close cooperation with authorities, including denouncing potential terrorists. [Those Australian fighting in Syria had a perceived moral duty to aid their Muslim brothers to] rid Syria of an infidel secular authoritarian regime and replace it with one that upholds their brand version of pure Islam. While there is no evidence of such individuals planning attacks in Australia, their recruitment activities tap into a population of Australian-born and disengaged youth searching for a worthy cause – and at times martyrdom." At least one aspirant convert attacker, had his passport confiscated on suspicion he was to go overseas to fight. On 21 October, he was killed after trying to run over two Canadian security service personnel. An ICCT report shows that more than 900 people have travelled from France to Syria and/or Iraq by October 2015. There is no profile that defines a French foreign fighter, as is the case with other countries. This means that foreign fighters come from all regions and socio-economic environments. Following the accusation of French government by a mother in court , it was clear that a teen and some young joined in ISIS in Syria. One of the three young died during this journey. The women accused the government in court of failing to protect her son from travelling to notorious war. In May 2015, two Norwegian men, 30-year-old Djibril Abdi Bashir and 28-year-old Valon Avdyli, were sentenced to four years in prison for joining Islamic State militants in Syria. Valon's 25-year-old brother, Visar Avdyli, was convicted of providing logistical support, and sentenced to a seven month prison term. A month later, another Norwegian man was arrested for suspected ties to the Islamic State, suspected of heading to Syria to join jihadi militants. The 18-year-old was apprehended by the Swedish government at Göteborg Landvetter Airport at Norway's request. If convicted, the unidentified man faces up to six years in prison. As an ICCT report from April 2016 shows, Belgium has the highest per-capita foreign fighter contingent. The estimated number is between 420-516 individuals. This group consists of a wide age rage, with people between 14–69 years old – with an average of 25,7. The Chief of the 'Coordination Unit for Threat Analysis', Paul Van Tigchelt, said on the 28th of September 2016 that there are 632 known persons designated as 'foreign terrorist fighters'. Out of these 632 people, 273 are believed to be abroad, fighting or dead. From the Netherlands 220 people have left to go to Syria/Iraq. The majority of them is male and under 25. The Pakistani Taliban said that its fighters, from a variety of countries, were fighting against the Syrian government. They were reportedly working with the Nusra Front and al-Qaeda in Iraq, which have grouped themselves under the banner of the Syrian Islamic Front. The group's commanders said that they sought to fight in Syria in order to foster closer links with al-Qaeda's central leadership. An unnamed Taliban commander was quoted by Reuters as saying that the group was fighting alongside their "Mujahedeen friends. When our brothers needed our help, we sent hundreds of fighters along with our Arab friends." He added that videos would be released showing the group's "victories" in Syria. Another commander said: "Since our Arab brothers have come here for our support, we are bound to help them in their respective countries and that is what we did in Syria. We have established our own camps in Syria. Some of our people go and then return after spending some time fighting there. The group's spokesman, Abdul Rashid Abbasi, said on 16 July 2013 that its first batch of fighters had arrived in Syria and set up a command and control centre and that another batch of at least 120 fighters were expected to join the others within a week. While a militant said that 100 fighters had reached Syria and another 20 were on the way with an untold number of volunteers waiting, the Foreign Office spokesman Aizaz Chaudhry said: "We have seen these reports in the media and the concerned authorities are verifying these claims by the militants." However, the Syrian National Council released a statement that read: "We ask for clarification regarding coverage that reflects poorly on the Syrian revolution, particularly news about Taliban's office in Syria and other news items about Islamist fighters." It also cited the Taliban's Shura Council as denying the news and calling it a "rumor." Specifically, Ahmed Kamel said the reports of the Taliban's presence were a "systematic" and "rapid" campaign by pro-government outlets to "smear" the rebels. He said that these were "sick attempts to make the Syrian people look like a bunch of radical Islamists. Syria is bigger than all of these lies and we know, based on our contacts inside Syria, that no Pakistani Taliban are fighting alongside the Syrian rebels. The Taliban want to kill Americans and Israelis, so why they should go to Syria when we are fighting for freedom, democracy and justice against a tyrant?" The numbers of fighters for ISIS from United States of America is not clear. They are apparently not of single ethnicity, and include naturalized citizens, as well as some young women. Mohammad Hamzeh Khan arrested by the United States while leaving to join ISIS, declared that ISIS had established the perfect Islamic state and that he felt obligated to "migrate" there. Ahmad Khan, an American teenager, was to meet a member of Isis in Turkey. Another young American, a 17 years old, acknowledged distributing nearly 7 thousand tweets in support of Isis, aiding the immigration of another youth to Syria. Other Non-Arab fighters came from Turkey, Tajikistan and Pakistan. Though they were reported to be callous, under-trained and poor, particularly in comparison to the Chechens. Other Muslim contingents included: South and Central Asians (Afghans, Bangladeshis and Pakistanis), Westerners (Belgian, British, French, U.S., Australia, Denmark, Germany, Netherlands, Sweden, Canada and Austria), as well as Azerbaijan (members of the country's Sunni minority), Kazakhstan, Kyrgyzstan, Tajikistan, Uzbekistan. The core foreign support lies with the Al Qaeda-linked ISIS, which is in opposition to the Islamic Front and other non-Islamist groups. Reports indicated the inclusion of Buddhist-majority Khmers fighting with ISIS, including those who studied in madrassas in the Middle East. Saudi Grand Mufti Abdulaziz Al al-Sheikh called for Syrians to be "enable[d]" to protect themselves. He also said of fighters going to the country that "this is all wrong, it's not obligatory. I do not advise one to go there...you will be a burden to them, what they want from you is your prayer. These are feuding factions and one should not go there. I do not advise one to go there...Going to a land that you do not know and without experience, you will be a burden to them, what they want from you is your prayer. Muslim should be fearful of God and not deceive young Muslims and exploit their weakness and lack of insight and push them to an abyss. I advise them to advise as they would advise their sons." This was seen as a Saudi fear of its citizens returning home with skills they learnt against the Saudi state. 1 2 Lund, Aron. "Who Are the Foreign Fighters in Syria? An Interview With Aaron Y. Zelin". Guide to Syria in Crisis. Carnegie Middle East Center. Retrieved 7 December 2013. 1 2 3 4 5 6 7 8 Bill Gertz. "Up to 6,000 jihadists fighting with al Qaeda groups in Syria". Freebeacon.com. Retrieved 2 July 2013. ↑ "How Many Foreign Fighters in Syria". Middle East Online. 15 October 2016. Retrieved 18 October 2016. 1 2 "Over 40,000 foreign militants from 100 countries fighting in Syria – US State Department". Russia Today. 3 June 2016. Retrieved 18 October 2016. ↑ "Country Reports on Terrorism 2015". US State Department. 2 June 2016. Retrieved 18 October 2016. QUESTION: I might have missed this somewhere else in the report, but in the 2014 report you state specifically that the rate of foreign fighter terrorist travel to Syria was more than 16,000 from 90 countries. In this year’s report you write that thousands of foreign terrorist fighters came from more than 100 countries. Is there a specific number for foreign terrorist fighter travel to Syria or – MR SIBERELL: Yeah. Well, the numbers that we have available to us come from analysis out of our intelligence community. And I think the most recent figures they’ve provided – and these are not calendar year 2015; this will be the most recent – but I’ve seen in excess of 40,000 total foreign fighters have gone to the conflict and from over 100 countries. But it’s been difficult, of course, to associate the numbers with a particular date and time, and that’s because of the way that the numbers come in and the reporting. So it’s been difficult to correlate. 1 2 3 4 5 6 7 8 9 "The Foreign Fighters Phenomenon in the European Union". The International Centre for Counter-Terrorism - The Hague (ICCT). April 2016. Retrieved 31 August 2016. ↑ Lydia Khalil; Rodger Shanahan (24 March 2016). ""Iraq and Syria: How Many Foreign Fighters are Fighting for ISIL?"". Retrieved 28 September 2016. ↑ Martin Reardon (13 December 2015). "The real threat of foreign fighters in Syria". Retrieved 28 September 2016. 1 2 3 4 5 6 7 8 "Foreign Fighters Trickle into the Syrian Rebellion". The Washington Institute for Near East Policy. 11 June 2012. Retrieved 1 July 2013. ↑ Spillius, Alex (17 December 2013). "Number of foreign fighters in Syria nearly doubles". The Daily Telegraph. London. ↑ "Destination Jihad: Why Syria and not Mali". The International Centre for Counter-Terrorism - The Hague (ICCT). Retrieved 1 September 2016. 1 2 "Tunisian radicals travel to Syria". Kyivpost.com. 21 June 2012. Retrieved 1 July 2013. ↑ Thomas Hegghammer; Aaron Y. Zelin (7 July 2013). "How Syria's Civil War Became a Holy Crusade". Foreign Affairs. Retrieved 20 July 2013. 1 2 3 4 5 6 Aamna Mohdin (6 October 2016). "ISIL's foreign fighters are surprisingly well-educated, according to the World Bank". Quartz. Retrieved 18 October 2016. 1 2 "Economic and Social Inclusion to Prevent Violent Extremism" (PDF). World Bank. October 2016. Retrieved 18 October 2016. 1 2 3 4 Ghaith Abdul-Ahad in Aleppo (23 September 2012). "Syria: the foreign fighters joining the war against Bashar al-Assad". London: The Guardian. Retrieved 1 July 2013. ↑ Barnard, Anne; Mourtada, Hania (7 July 2013). "Opposition in Syria Continues to Fracture". The New York Times. ↑ "Syria: Anyone Who Enters Country Illegally Will Be Jailed, Fined". Almanar.com.lb. Retrieved 20 July 2013. 1 2 3 4 "Foreign Fighters An Updated Assessment of the Flow of Foreign Fighters into Syria and Iraq" (PDF). the Soufan Group. 7 December 2015. Retrieved 24 October 2016. 1 2 3 4 Aamna Mohdin (8 December 2015). "Foreign fighters in Iraq and Syria come from 86 countries—and their numbers have doubled". Quartz. Retrieved 18 October 2016. ↑ "Bahraini killed in Syria fight, government warns citizens". The Daily Star. Retrieved 1 July 2013. ↑ Michael Winter (21 January 2013). "Saudis sent death-row inmates to fight Syria". Usatoday.com. Retrieved 20 September 2013. 1 2 3 Putz, Ulrike (30 March 2012). "Foreign Jihadists Declare War on Syria's Assad". Spiegel.de. Retrieved 1 July 2013. ↑ Chivers, C.J. ; Schmitt, Eric; Mazzetti, Mark (21 June 2013). "In Turnabout, Syria Rebels Get Libyan Weapons". New York Times. Retrieved 2 July 2013. ↑ "BBC News - Libya violence: Activists beheaded in Derna". BBC News. Retrieved 4 March 2015. ↑ "What Happened to the Humanitarians Who Wanted to Save Libyans With Bombs and Drones?". The Intercept. Retrieved 4 March 2015. ↑ Amara, Tarek (4 February 2012). "Tunisia to withdraw recognition of Syria government". Reuters. Retrieved 1 July 2013. ↑ Noueihed, Lin (14 May 2012). "Tunisian Islamists join jihad against Syria's Assad". Reuters. Retrieved 1 July 2013. ↑ "Tunisia FM: 800 Tunisian Islamists Fighting in Syria". Naharnet.com. 11 May 2013. Retrieved 1 July 2013. ↑ "Israel jails Arab citizen who briefly joined Syria's rebels". The Daily Star. Retrieved 20 July 2013. ↑ "Jordan air force captain joins Syria jihadists: sources". The Daily Star. 19 June 2013. Retrieved 1 July 2013. ↑ "PressTV-Jordan jails 5 over promoting ISIL". Retrieved 4 March 2015. ↑ "The Clear Banner: The Forgotten Fighters: Azerbaijani Foreign Fighters in Syria and Iraq". JIHADOLOGY. Retrieved 25 October 2015. ↑ "GUEST POST: Azerbaijani Foreign Fighters in Syria". JIHADOLOGY. Retrieved 25 October 2015. ↑ Suriyada azərbaycanlı vəhhabilər kütləvi şəkildə öldürüldü. YouTube. 25 March 2014. Retrieved 25 October 2015. ↑ Meydan TV. ""Ərim Suriyaya 5 manatla gedib" [ VİDEO ]". Meydan TV - Alternativ və Azad Media Kanalı. Retrieved 25 October 2015. ↑ "Why Did An Azerbaijani Wrestling Champion Join (And Die For) IS?". RadioFreeEurope/RadioLiberty. Retrieved 4 March 2015. ↑ "The Chechen Leader With A Grudge And The IS Commander With Nine Lives". Radio Free Europe/Radio Liberty. 14 November 2014. ↑ "Umar Shishani's Man Who Fought At Menagh, Then Was Killed In Dagestan". 28 April 2016. Retrieved 27 October 2016. ↑ "Joanna Paraszczuk on Twitter". Retrieved 27 October 2016. ↑ "More About Muslim Shishani's Early Years As a Militant In Ingushetia (With Pics!)". 19 April 2016. Retrieved 27 October 2016. ↑ "Syria: Who is Muslim Abu Walid Shishani? Part One". 26 March 2014. Retrieved 27 October 2016. ↑ "TIP Division in Syria Releases Video Promoting Cause, Inciting for Jihad". SITE Institute. 6 June 2014. Retrieved 10 June 2014. ↑ "Tuba 4 Ilan 1". Internet Archive. Retrieved 25 October 2015. ↑ "Raziman". Internet Archive. Retrieved 25 October 2015. ↑ "mensure". Internet Archive. Retrieved 25 October 2015. ↑ A short video showing the opening of yesterdays ongoing battle in Jisr ash-Shugur. YouTube. 22 April 2015. Retrieved 23 September 2015. ↑ Weiss, Caleb (23 April 2015). "Turkistan Islamic Party in Syria involved in new Idlib offensive". Long War Journal. ↑ Weiss, Caleb (30 April 2015). "Turkistan Islamic Party had significant role in recent Idlib offensive". Long War Journal. ↑ "Conflict News on Twitter". Twitter. Retrieved 29 June 2015. ↑ "LiveLeak.com - Turkistan/Chechnya group releases combat footage of capture of Jsir Shurour". Retrieved 29 June 2015. ↑ "LiveLeak.com - [Combat edit] NEW Hizb al-Islami at-Turkistan release - Routing SAA brigade from a city in Idlib (August, 2015)". Retrieved 25 October 2015. ↑ "Turkistan Islamic Party in Syria fighting alongside Junud al Sham in Idlib". The Line of Steel. Retrieved 25 October 2015. ↑ Zelin, Aaron Y. (30 June 2014). "Syria: The Epicenter of Future Jihad". The Washington Institute. ↑ "Turkestan Islamic Party". Foreign Fighters in Iraq and Syria. 14 April 2015. ↑ "Turkestan Islamic Party in Syria". The Line of Steel. Retrieved 25 October 2015. ↑ "80-year-old Chinese man joins Islamic State". The Rakyat Post. June 4, 2015. Retrieved 4 June 2015. ↑ Setiawan, Teguh (3 June 2015). "Muhammad Amin, Serdadu ISIS Tertua asal Tiongkok". INILAHCOM. Retrieved 4 June 2015. ↑ "[VIDEO] - Usia Sudah 80 Tahun, Kakek Asal Cina Ini Bergabung dengan ISIS". TRIBUNJABAR.CO.ID. 4 January 2015. Retrieved 4 June 2015. ↑ Crowcroft, Orlando (June 3, 2015). "The oldest Isis jihadi: 80-year-old Chinese grandfather fights for Islamic State in Syria". International Business Times. Retrieved 4 June 2015. ↑ Wong, Edward (29 March 2013). "An Unlikely Warrior in the Battle for Syria". The New York Times. 1 2 Linda Lundquist (4 June 2014). "Analysis: Blowback from the Syrian jihad has begun". Lubpak.com. Retrieved 10 June 2014. ↑ ""Jump On A Plane & Come" – IS Kazakhstan Jamaat Urges Kazakhs To Fight In Syria". From Chechnya To Syria. Retrieved 25 October 2015. ↑ "New Video From ShamToday Shows Children In Umar Shishani's Swimming Pool". From Chechnya To Syria. Retrieved 25 October 2015. ↑ "Iraq: Claimed Images Of Kazakhstan ISIS Fighter In Ramadi". 24 April 2014. Retrieved 27 October 2016. ↑ "Kazakhstan Muftiate: 'Kazakh Jihadis' With IS In Syria 'Acting Against Islam'". RadioFreeEurope/RadioLiberty. Retrieved 25 October 2015. ↑ "Kazakhstan Intelligence: 150 Kazakh Women Are Members Of IS". RadioFreeEurope/RadioLiberty. Retrieved 25 October 2015. ↑ "Kazakhstan: Video claims of 'family jihad' - BBC News". BBC News. Retrieved 25 October 2015. ↑ "ISIS: Syrian Brigade Massacred Families From Kazakhstan, Azerbaijan". From Chechnya To Syria. Retrieved 25 October 2015. ↑ "Syria: A Portrait Of 3 Jaish al-Muhajireen Wal Ansar Fighters". From Chechnya To Syria. Retrieved 25 October 2015. ↑ "A Cautionary Tale: "I Was Brainwashed Syria War Victim," Claims Kazakh Jihadi". From Chechnya To Syria. Retrieved 25 October 2015. ↑ "'Next Generation' Stars In IS Terror-Training Video Of 'Caliphate Cub'". RadioFreeEurope/RadioLiberty. Retrieved 25 October 2015. ↑ "aris roussinos on Twitter". Retrieved 27 October 2016. ↑ "ANF - Ajansa Nûçeyan a Firatê". Retrieved 27 October 2016. ↑ "Wladimir". Twitter. Retrieved 18 April 2016. ↑ "Who Was Abu Aisha Kazakhi, The Kazakh IS Militant Killed In Palmyra?". From Chechnya To Syria. Retrieved 18 April 2016. ↑ "Joanna P.". Twitter. Retrieved 18 April 2016. ↑ "IS Central Asian Recruitment Drive A Family Affair". RadioFreeEurope/RadioLiberty. Retrieved 18 April 2016. ↑ "Katibat Al-Imam BukhariJanlok - Janlok". Retrieved 25 October 2015. ↑ "The Islamic State". Retrieved 25 October 2015. ↑ "Uzbek Imam Bukhari Jamaat In Syria Release New Training Camp Video". 9 December 2014. Retrieved 27 October 2016. ↑ "Over 100 jihadist training camps identified in Iraq and Syria". The Long War Journal. Retrieved 25 October 2015. ↑ "Ўшда "Тавҳид ва Жиҳод" гуруҳининг 8 нафар аъзоси ушланди". Озодлик радиоси. Retrieved 18 April 2016. ↑ "Caleb Weiss on Twitter". Twitter. Retrieved 18 April 2016. ↑ "Live Blog: Tracking Islamic State". RadioFreeEurope/RadioLiberty. Retrieved 18 April 2016. ↑ "From South Korea to an Uzbek Al Qaeda group in Syria…to a Russian prison". 2 June 2016. Retrieved 27 October 2016. ↑ Idlibga oid so'ngi qishloqlardagi janglar - Идлибга оид сўнги қишлоқлардаги жанглар. YouTube. 31 July 2015. Retrieved 6 August 2015. ↑ Idlibga oid so'ngi qishloqlardagi janglar - Идлибга оид сўнги қишлоқлардаги жанглар. YouTube. 31 July 2015. Retrieved 25 October 2015. ↑ "LiveLeak.com - [Combat edit] Katibat al-Tawhid wal-Jihad (Uzbeks) - Assault on SAA-held Jisr al-Shughour in Idlib prov. (April, 2015)". Retrieved 18 April 2016. ↑ Idlibga oid so'ngi qishloqlardagi janglar - Идлибга оид сўнги қишлоқлардаги жанглар. YouTube. 31 July 2015. Retrieved 5 August 2015. ↑ Tel Vosit qishlog'idagi amaliyot - Тел Восит қишлоғидаги амалиёт. YouTube. 5 August 2015. Retrieved 12 August 2015. ↑ Sahl al G'ob mintaqasidagi fathlari - Саҳл ал Ғоб минтақасидаги фатҳлар. YouTube. 12 Aug 2015. Retrieved 12 August 2015. ↑ Joscelyn, Thomas (3 July 2015). "Al Nusrah Front, allies form new coalition for battle in Aleppo". The Long War Journal. Retrieved 4 July 2015. Jaysh al Fateh ("Army of Conquest") Qalamoun was formed in early May to fight Hezbollah, the Iranian-backed terrorist group that supports Bashar al Assad's regime, and the Islamic State. ↑ "Katibat al Tawhid wal Jihad". The Line of Steel. Retrieved 19 September 2015. ↑ "Sendvid - Instant video upload". Sendvid. Retrieved 19 September 2015. ↑ "Ibn Nabih". Twitter. Retrieved 19 September 2015. ↑ "LiveLeak.com - [Combat edit] Katibat al-Tawhid wal-Jihad (Uzbeks) - GoPro footage of the assault on Tell Mimu, Southern Aleppo countryside (November, 2015)". Retrieved 18 April 2016. ↑ "LiveLeak.com - [Combat edit] Katibat al-Tawhid wal-Jihad (Uzbeks) - GoPro footage of the assault on Tell Bajar, Southern Aleppo countryside (November 27, 2015)". Retrieved 18 April 2016. ↑ "Caleb Weiss". Twitter. Retrieved 18 April 2016. ↑ "LiveLeak.com - [Combat edit] Katibat al-Tawhid wal-Jihad Infantry GoPro footage from the assault on Banes village, South Aleppo (December 8, 2015)". Retrieved 18 April 2016. ↑ "LiveLeak.com - [Combat edit] Katibat al-Tawhid wal-Jihad (Uzbeks) GoPro footage from the failed assault on SAA positions in Bashkoy, Northern Aleppo (December, 2015)". Retrieved 18 April 2016. ↑ "Uzbek groups part of new offensive in southern Aleppo - The Long War Journal". Retrieved 27 October 2016. ↑ "Caleb Weiss on Twitter". Retrieved 27 October 2016. ↑ "LiveLeak.com - [Combat edit] Uzbek foreign fighters (KTJ & KIB) joint spearhead offensive on Marata, S. Aleppo (June 3, 2016)". Retrieved 27 October 2016. ↑ "LiveLeak.com - Katibat al-Tawhid wal Jihad (Uzbek): A Bullet Hits An RPG During A Firefight With SAA". Retrieved 27 October 2016. ↑ "Caleb Weiss". Twitter. Retrieved 25 October 2015. ↑ Фуа минтақаси жанглари - Fua mintaqasi janglari. YouTube. 19 September 2015. Retrieved 25 October 2015. ↑ "Katiba Turkistani[?] fighting in the Fu'ah offensive : syriancivilwar". reddit. Retrieved 25 October 2015. ↑ "Қармид муаскари учун жанглар". Retrieved 25 October 2015. ↑ Қормид "Куфр" муаскарига ҳужум - Qormid "Kufr" muaskariga hujum. YouTube. 30 April 2015. Retrieved 25 October 2015. ↑ "Қормид 'Куфр' муаскарига ҳужум - Qormid 'Kufr' muaskariga hujum смотреть видео онлайн бесплатно в хорошем качестве". Retrieved 25 October 2015. ↑ "Category: Katibat Al Tawhid Wal Jihad". Retrieved 25 October 2015. ↑ "Katibat al Tawhid wal Jihad". The Line of Steel. Retrieved 25 October 2015. ↑ "Over 150 killed in Aleppo fighting". The Long War Journal. Retrieved 25 October 2015. ↑ "Imam Bukhari Jamaat". Retrieved 25 October 2015. ↑ "Imam Bukhari Jamaat". Foreign Fighters in Iraq and Syria. Retrieved 25 October 2015. ↑ "Syria: The Epicenter of Future Jihad". Retrieved 25 October 2015. ↑ "Why An Uzbek Militant Commander Got His Son Killed Fighting In Syria". RadioFreeEurope/RadioLiberty. Retrieved 25 October 2015. ↑ "Uzbek Militant: Jihad Has No Age Limit". RadioFreeEurope/RadioLiberty. Retrieved 25 October 2015. ↑ "RFE/RL on Twitter". Twitter. Retrieved 25 October 2015. ↑ "Joanna Paraszczuk". Twitter. Retrieved 25 October 2015. ↑ "Main Uzbek Militant Faction In Syria Swears Loyalty To Taliban". RadioFreeEurope/RadioLiberty. Retrieved 25 October 2015. ↑ "Jihadists continue to advertise training camps in Iraq and Syria". The Long War Journal. Retrieved 25 October 2015. ↑ "All Categories". Foreign Fighters in Iraq and Syria. Retrieved 25 October 2015. ↑ "How Babur The Migrant Worker Became Jafar The Weeping Suicide Bomber". RadioFreeEurope/RadioLiberty. Retrieved 25 October 2015. ↑ "How Three Brothers Went To Syria, Taking Their Families With Them". RadioFreeEurope/RadioLiberty. Retrieved 25 October 2015. ↑ "Uzbek group in Syria trains children for jihad". The Long War Journal. Retrieved 18 April 2016. ↑ "Бухорий Катибаси Ҳалабга ёрдамчи куч юборди". Retrieved 18 April 2016. ↑ "LiveLeak.com - [Combat edit] Katibat Imam al-Buxoriy (Uzbeks) GoPro footage of clashes with SAA at Mount Akrad, Latakia (Feb, 2016)". Retrieved 18 April 2016. ↑ Lazaqiyaning Jabal Akrod tog'ida kofirlar bilan to'qnashuv. 13 February 2016. Retrieved 18 April 2016 – via YouTube. ↑ "Al-Qaeda's Affiliate In Syria Tries Crowdfunding". RadioFreeEurope/RadioLiberty. Retrieved 25 October 2015. ↑ "Uzbek-Led Katiba Sayfullah (Nusra) Involved In Abu Duhour Air Base Assault". From Chechnya To Syria. Retrieved 25 October 2015. ↑ "ISIS says Australian teen behind Iraq suicide bombing". The Daily Star Newspaper - Lebanon. Retrieved 25 October 2015. ↑ "After Fleeing IS Recruiters, A Precarious Limbo In Moscow". RadioFreeEurope/RadioLiberty. Retrieved 18 April 2016. ↑ "Authorities Say Up To 1,000 Tajiks Joined IS In Syria, Iraq". RadioFreeEurope/RadioLiberty. Retrieved 18 April 2016. ↑ "How many Tajik jihadists fighting for ISIL in Syria and Iraq? - ASIA-Plus". Retrieved 27 October 2016. ↑ "Farsnews". Retrieved 27 October 2016. ↑ Mamoun, Abdelhak (3 August 2015). "Tajik Prosecutor reveals the death of 100 Tajik fighters in the ranks of ISIS - Iraqi News". Retrieved 27 October 2016. ↑ "International Crisis Group". Retrieved 27 October 2016. ↑ "Over 300 Tajik ISIL Members Killed in Syria, Iraq - Islamic Invitation Turkey". Retrieved 27 October 2016. ↑ "Over 100 Tajik citizens killed in Syria, Iraq: Chief prosecutor". Retrieved 27 October 2016. ↑ Zelin, Aaron Y. (20 January 2015). "The Clear Banner: Tajik Fighters in Iraq and Syria". Retrieved 27 October 2016. ↑ "PressTV-'Over 400 Tajiks join ISIL ranks'". Retrieved 27 October 2016. ↑ "Over 300 Tajik ISIL Members Killed in Syria, Iraq". Retrieved 27 October 2016. ↑ "Over 100 Tajik citizens killed in Syria, Iraq: Chief prosecutor - islam 14 english". 1 August 2015. Retrieved 27 October 2016. ↑ RFE/RL. "Why Did Tajik Student, MMA Champ Die for IS in Iraq?". Retrieved 27 October 2016. 1 2 Aleksandra Bogdani (18 March 2016). "Albania Faces 'Jihadi Fighters in the Shadows' Threat". Balkan Insight. Retrieved 3 April 2016. 1 2 Ervin Qafmolla (24 March 2016). "'Offer Kosovar Fighters "Jihadi Rehab" to Combat Extremism'". Balkan Insight. Retrieved 3 April 2016. ↑ Amre Sahan (30 April 2015). "130 Macedonian and Serbian nationals fight alongside ISIS in Iraq and Syria". Iraqi News. Retrieved 3 April 2016. ↑ "Mladić iz Plava poginuo u borbama u Siriji". RTS. 7 February 2016. Retrieved 3 April 2016. ↑ "Bosnia fighters face uncertain fate". BBC News. 10 May 2007. Retrieved 1 July 2013. ↑ Teodorovic Milos; Ron Synovitz (8 June 2013). "Balkan Militants Join Syria's Rebel Cause". Radio Free Europe / Radio Liberty. Retrieved 1 July 2013. ↑ "Bosnian radical Islamists preparing to join Syrian rebels". Dalje.com. 26 June 2013. Retrieved 1 July 2013. ↑ "Fight the Good Fight: With the Western Balkans at Peace, Some Go Abroad to Look for War". The Economist. 18 April 2015. ↑ "100 Albanaca sa KiM ratuje u Siriji". Vesti. B92. Retrieved 10 June 2014. ↑ "Još jedan kosovski Albanac poginuo u Siriji" [Another Kosovo Albanian Killed in Syria] (in Serbian). Info.ks. 15 September 2014. ↑ "Another Macedonian Albanian reported killed in Syria". Republika Online. Retrieved 12 October 2014. ↑ "Another Macedonian Albanian Reported Killed in Syria". Balkaninsight.com. Retrieved 12 October 2014. ↑ "FSB Worried About Russian Fighters in Syria". The Moscow Times. Retrieved 1 July 2013. ↑ Общество | Россия готовит спецназ к противостоянию боевикам из Сирии (in Russian). MIGnews. Retrieved 4 February 2014. ↑ "Should Georgia Fear IS Threat To Its Pankisi Gorge?". Radio Free Europe / Radio Liberty. October 14, 2014. ↑ "Syria crisis: Omar Shishani, Chechen jihadist leader". BBC. 3 December 2013. Retrieved 20 December 2013. 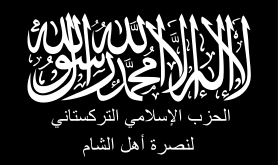 ↑ "Insurgent group pledges allegiance to al Qaeda's Syria wing". Reuters. 23 September 2015. ↑ "Security Service At Moscow Airport Detains Siberian Man Suspected To Join ISIS In Syria". IBTimes. 24 September 2015. ↑ "A More Detailed Biography Of Khamza Shishani of Ajnad al-Kavkaz". 7 January 2016. Retrieved 27 October 2016. ↑ "Mesopotamische Gesellschaft « MESOP SPECIAL : New Chechen Faction Ajnad Kavkaz Fights Alongside JAN In Idlib / By Joanna Paraszczuk". Retrieved 27 October 2016. ↑ "UPDATE: Chechen Faction Ajnad Kavkaz Fights Alongside JAN In Idlib". 30 March 2015. Retrieved 27 October 2016. ↑ Gradot, Julien (21 October 2015). "Why Malaysia has a problem with Islamic State". The Malay Mail. Retrieved 21 October 2015. 1 2 3 4 "Syria war graduates bigger threat than 2001 attacks, says Abbott". Afr.com. Retrieved 10 June 2014. ↑ قناة الميادين. "الميادين - الأخبار - "داعش" يدرّب 500 طفل من دول العالم في سوريا". قناة الميادين. Retrieved 18 April 2016. 1 2 "Syria: EU eyes potential threat from volunteer fighters". Ansamed.ansa.it. Retrieved 1 July 2013. ↑ "Home-Grown Jihadism in Italy". Ispionline.it. Retrieved 12 October 2014. ↑ "Foreign rebel fighters in the Syrian Civil War". The New York Times. Retrieved 12 October 2014. ↑ "An Australian in Syria: The journey of a foreign fighter". GlobalPost. 4 March 2013. Retrieved 2 July 2013. ↑ "Details Emerge About Douglas McCain, American Jihadist Killed in Syria". VOA. Retrieved 12 October 2014. ↑ "Pathways of Foreign Fighters: Policy Options and Their (Un)Intended Consequences". The International Centre for Counter-Terrorism - The Hague (ICCT). 26 May 2015. Retrieved 1 September 2016. ↑ "Australian rebel fighters in Syria could face terrorism charges". MuslimVillage.com. Retrieved 2 July 2013. ↑ Warikoo, Niraj (10 June 2013). "From Michigan to a violent death in Syria". Usatoday.com. Retrieved 1 July 2013. ↑ "U.S. Passport Found among Syria Jihadists". Israel National News. 23 July 2013. Retrieved 28 July 2013. ↑ "Pittsburgh man reportedly dead in Syria". www.wpxi.com. Retrieved 28 July 2013. ↑ "Pittsburgh man reported killed in Syria". TribLIVE. Retrieved 20 September 2013. ↑ "Lebanese-Swedish brothers killed in Syria". Fox News. 3 August 2013. Retrieved 20 September 2013. ↑ Natalie O'Brien; Nick Ralston (14 September 2013). "Australian man in Syria, 'Abu Asma al-Australi', suspected to be suicide bomber". Melbourne: Theage.com.au. Retrieved 20 September 2013. ↑ "Norwegian killed in Syrian conflict". Newsinenglish.no. Retrieved 12 October 2014. ↑ Kim Sengupta (11 August 2013). "Revealed: What the West has given Syria's rebels". London: The Independent. Retrieved 20 September 2013. ↑ "American and International Militants Drawn to Syria". Anti-Defamation League. Retrieved 25 November 2013. 1 2 Sophie Cousins (4 February 2014). "Australian fighters in Syria alarm officials". Al Jazeera English. Retrieved 4 February 2014. ↑ "UK holds ex-Guantanamo inmate over Syria trip". Al Jazeera English. Retrieved 10 June 2014. ↑ "Pregnant Austrian teen who ran off to join ISIS says she 'made a mistake'". RT English. Retrieved 25 October 2015. ↑ O'Halloran, Marie; O'Regan, Michael (5 February 2014). "Shatter says up to 30 Irish residents gone to fight in Syria". The Irish Times. Retrieved 3 June 2014. ↑ McQuinn, Cormac (4 April 2013). "26 fighters have left Ireland to join Syrian rebels". Irish Independent. Retrieved 3 June 2014. ↑ Ryan, Nicky. "Gardaí monitoring potential radicalisation of Irish residents in Syrian conflict". thejournal.ie. Retrieved 3 June 2014. ↑ Malik, Shiv (3 April 2013). "Syria conflict drawing hundreds of jihadists from Europe, says report". The Guardian. Retrieved 3 June 2014. ↑ Brady, Tom; Phelan, Shane (21 August 2014). "30 irish jihad fighters travelling to middle east from Dublin base". The Herald. Retrieved 25 August 2014. ↑ "Secret army squad keeps watch on 60 Al Qaeda in Ireland". Irish Daily Star. 26 May 2013. Retrieved 7 February 2014. ↑ O'Keefe, Cormac (21 November 2015). "Islamic terrorists: Radicalisation and fighters returning to Ireland are our biggest threat". Irish Examiner. Retrieved 21 November 2015. ↑ "Why British boys are fighting in Syria's war". 12 May 2014. Retrieved 12 May 2014. ↑ "Syria crisis: British man 'killed during battle'". Bbc.com. 3 June 2014. Retrieved 10 June 2014. ↑ "British militants, the most bloodthirsty in Syria". En.alalam.ir. 26 May 2014. Retrieved 10 June 2014. ↑ Hull, Liz (6 July 2014). "Manchester teen twin sisters crept out of bedrooms and flew to Syria to join Isis". Dailymail.co.uk. Retrieved 18 July 2014. ↑ "Syria and Iraq: Ramadan plea to British Muslims". Bbc.com. 6 July 2014. Retrieved 18 July 2014. ↑ "Five Britons join ISIL every week: UK police chief". presstv.in. Retrieved 30 October 2014. ↑ "Martin Couture-Rouleau case underscores passport seizure dilemma". cbc.ca. Retrieved 3 November 2014. 1 2 3 4 Luke Hunt; The Diplomat. "ISIS: A Threat Well Beyond the Middle East". thediplomat.com. Retrieved 3 November 2014. ↑ "ISIS threatens to kill British jihadists who want to go home". rt.com. Retrieved 3 November 2014. ↑ Will Stewart (12 November 2014). "Wanted British 'White Widow' terrorist Samantha Lewthwaite 'shot dead by Russian sniper in Ukraine'". mirror. Retrieved 4 March 2015. ↑ "French mother in court to accuse government of negligence in teen son's one-way Syria journey". Fox News. Retrieved 25 October 2015. ↑ "Norwegian court convicts 3 men of links to ISIS". ynet. Retrieved 25 October 2015. ↑ "Swedes nab Norwegian man suspected of heading to join jihadi fighters in Syria and Iraq". Fox News. Retrieved 25 October 2015. ↑ "Tiental Syriëgangers zou "zonder slechte bedoelingen" willen terugkeren naar België". 28 September 2016. Retrieved 27 October 2016. ↑ Atul Aneja (15 July 2013). "Pak. Taliban presence turns Syria into a theatre of global jihad". The Hindu. Chennai, India. Retrieved 20 July 2013. ↑ "Pakistan Taliban says its fighters in Syria". Al Jazeera English. 16 July 2013. Retrieved 20 July 2013. ↑ "Pakistan verifying reports of Taliban fighting in Syria". Dnaindia.com. 16 July 2013. Retrieved 20 July 2013. ↑ "Syrian opposition questions Taliban rebel role". CNN. 19 July 2013. Retrieved 20 July 2013. ↑ Peter Bergen; David Sterman (6 May 2015). "Who are ISIS' American recruits?". CNN. Retrieved 25 October 2015. ↑ Jethro Mullen and Ted Rowlands, CNN (7 October 2014). "Who is Mohammed Hamzah Khan?". CNN. Retrieved 25 October 2015. ↑ "الحياة - شاب اميركي يعترف بنشر 7 آلاف تغريدة دعماً لـ "داعش"". Alhayat. Retrieved 18 April 2016. ↑ Holmes, Oliver (20 January 2014). "Sixteen killed by twin bombs at Syria-Turkey border post". Reuters. Retrieved 4 February 2014. ↑ DIAA HADID (3 July 2013). "Syrian troops battle to retake rebel-held areas". News.yahoo.com. Retrieved 20 July 2013. ↑ "Hundreds of Europeans fighting in Syria, says EU expert". Bbc.com. 24 April 2013. Retrieved 10 June 2014. ↑ Atlas, Terry (29 June 2013). "Foreign Fighters Flocking to Syria Stirs Terror Concerns". Bloomberg. Retrieved 20 July 2013. ↑ Schmitt, Eric (27 July 2013). "Worries Mount as Syria Lures West's Muslims". The New York Times. ↑ "Egypt has no intention of waging Syria jihad - minister". In.reuters.com. 20 July 2013. Retrieved 20 July 2013. ↑ Maamoun Youssef (20 April 2011). "Egypt to reevaluate Syria ties - Yahoo! News". News.yahoo.com. Retrieved 20 July 2013. ↑ Zeina Karam; Bassem Mroue (8 July 2013). "Egypt puts travel restrictions on Syrians". News.yahoo.com. Retrieved 10 June 2014. ↑ "Violence escalates in Dagestan amid incipient Islamist insurgency". Wsws.org. 15 August 2013. Retrieved 20 September 2013. ↑ "Australia fears domestic extremism from Syria conflict". AFP. Google.com. Retrieved 4 February 2014. ↑ "Young Saudis urged to avoid Syria war". Al Jazeera English. Retrieved 10 June 2014. ↑ Nathalie Tocci. "Turkey, Europe and the Syrian Crisis: Edging towards a new consensus?". Al Jazeera English. Retrieved 4 February 2014. ↑ M. Klostermayr. "French Minister: Enemies of Syria perhaps also Enemies of France". Syrianews.cc. Retrieved 20 September 2013. 1 2 "Norske ekstremister kriger i skandinavisk islamist-brigade - VG Nett om Syria" (in Norwegian). Vg.no. 1 January 1970. Retrieved 4 February 2014. ↑ "– "Norske jihadister" i kontakt med Al Qaida-grupperinger - NRK" (in Norwegian). Nrk.no. 25 November 2013. Retrieved 4 February 2014. 1 2 "Andel norske Syria-krigere i toppen - NRK – Norge" (in Norwegian). Nrk.no. 29 November 2013. Retrieved 4 February 2014. ↑ "'Brits fighting in Syria were no surprise for UK govt'". Rt.com. 18 February 2014. Retrieved 10 June 2014. ↑ "Move to curb foreign fighters in Syria". Al Jazeera English. Retrieved 10 June 2014. ↑ "Operation Mum won't stop British Muslims going to Syria. But peace will". theguardian.com. 13 September 2013. Retrieved 10 June 2014. ↑ "Some idiots waved ISIS flag, group has no presence in Kashmir valley, Omar Abdullah says". timesofindia.indiatimes.com. Retrieved 30 October 2014. ↑ "ISIS flags again displayed in Kashmir Valley". dnaindia.com. Retrieved 30 October 2014. ↑ "'Sabah' terror suspect likely illegal". Daily Express. 26 January 2016. Archived from the original on 2 February 2016. Retrieved 2 February 2016. Many Indonesian and Filipinos have illegally obtained Malaysian identity cards from syndicates and made their way to the peninsula for employment. ↑ "Steve Chapman: Should We Strip Terrorists of Citizenship?". reason.com. Retrieved 30 October 2014. ↑ "The New Security Council 2178 on Foreign Terrorist Fighters: A Missed Opportunity for a Holistic Approach". The International Centre for Counter-Terrorism - The Hague (ICCT). 4 November 2014. Retrieved 1 September 2016. ↑ "The Belgian fathers who lost their sons in Syria". Bbc.com. Retrieved 18 July 2014. ↑ "Belgium teenager Jejoen Bontinck: Humanitarian or jihadist?". Bbc.com. Retrieved 18 July 2014. ↑ Barnard, Anne; Schmitt, Eric (8 August 2013). "As Foreign Fighters Flood Syria, Fears of a New Extremist Haven". The New York Times. ↑ "Jihadists flooding into northern Syria put Turkey on edge". Fox News. 15 October 2013. Retrieved 4 February 2014. ↑ Newman, Marissa (1 June 2014). "'Brussels museum suspect admitted responsibility in video clip'". The Times of Israel. Retrieved 10 June 2014. ↑ Paul Farrell. "Michael Zehaf-Bibeau: 5 Fast Facts You Need to Know - Heavy.com". Heavy.com. Retrieved 22 October 2014.